I wrote a barbel fishing entry just last week where, although I blanked, I said that I was over the moon and explained why. However, the novelty of just being there and not getting any action will soon wear off, and this time round I was looking to get among the fish as well as enjoying the session itself. 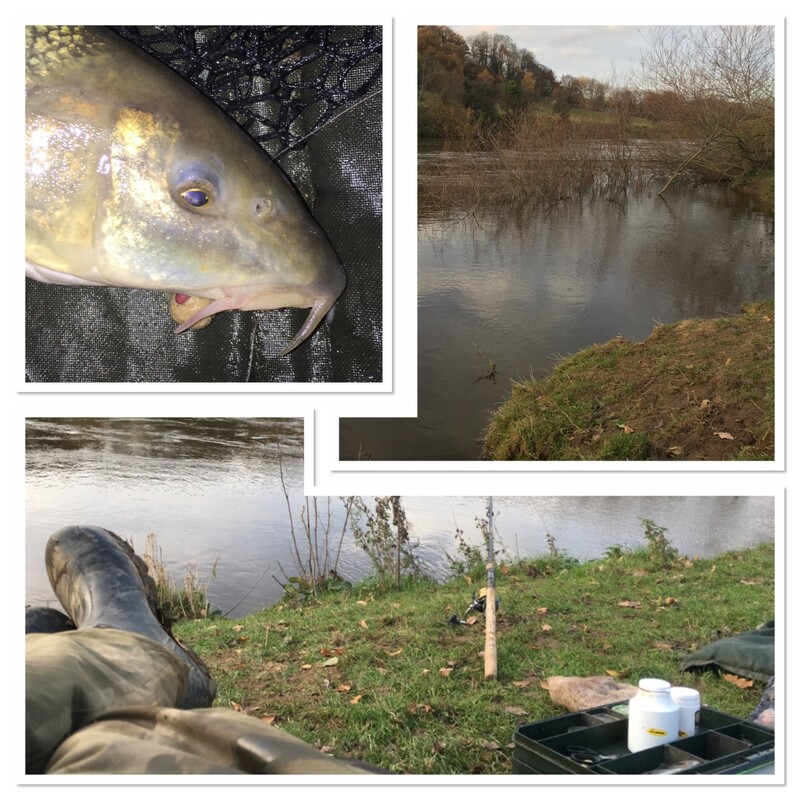 Although I don’t believe in luck – good or bad – nevertheless the saying ‘Third time lucky’ came to mind when I set up on the River Severn near Shrewsbury, on my way back from a day’s work at The New Saints FC. Unfortunately though it wasn’t to be and although I had a pull round at one stage, I made my way back to the car with yet another blank under my belt. Rather than be discouraged though it actually motivated me to get back out and catch something. My next trip, a day later, was again to the River Severn, but this time closer to home as I headed for the Kinver Freeliners’ stretch at Hampton Loade. As you can see from the link, it is available on a day ticket as well. In the video below you will notice that I’m fishing into dark. That’s because I’m a club member, day ticket angling is dawn to dusk only. The water is well-policed as well. The conditions were good – a falling river, mild conditions and 10.1C water temperature. Although I only had a small barbel, I was more than happy to finally get a fish on the bank. Tackle used: Harrison Interceptor 1lb 10oz test curve. Shimano 6000 baitrunner. Sufix Synergy 10lb reel line. Korda Supernatural 18lb braid hook length. 1.5 ounce lead. SBS Baits size 6 enigma hook. Ace lobworm 14mm boilie. Keep up to date with the blog entries by liking my Facebook page.